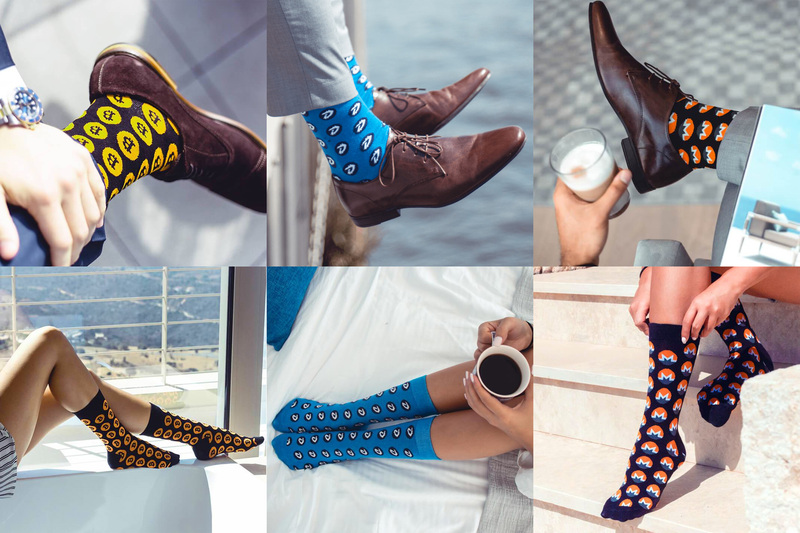 Kryptoez is a new startup in the form of an online store specializing in cryptocurrency themed socks, currently available are 3 different models – DigiByte (DGB), Monero (XMR) and of course Bitcoin (BTC). Kryptoez launched with 3 socks styles, but they do plan to have 8-10 different models by early 2019, so more is coming if there is interest. If you want to be in crypto style all around then crypto socks are a must too, so feel free to support Kryptoez by getting a pair of crypto socks if you like the idea and their products like we do. Currently the store accepts the following cryptocurrencies: DigiByte, Bitcoin, Monero, Litecoin, Ether, Bitcoin Cash and Dogecoin. Also accepted are fiat via VISA, Mastercard, PayPal, American Express, Google Pay and Apple Pay.